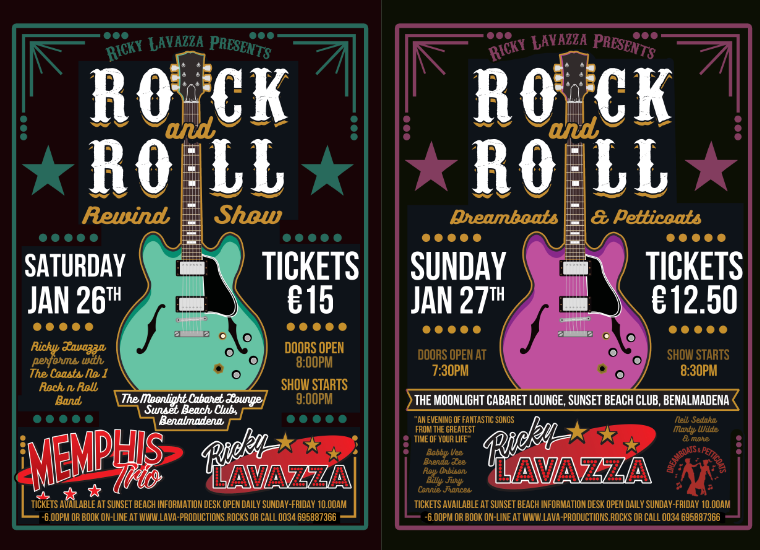 Ricky Lavazza, one of Sunset Beach Club’s most popular entertainers, is putting on a special and fun-packed long weekend of Rock ‘n roll on the 26th, 27th, 28th & 29th January with great music and activities throughout the weekend. After last year’s successful event, this year’s Rewind will go on for 4 days and will feature all the greatest hits from the 50’s and 60’s. 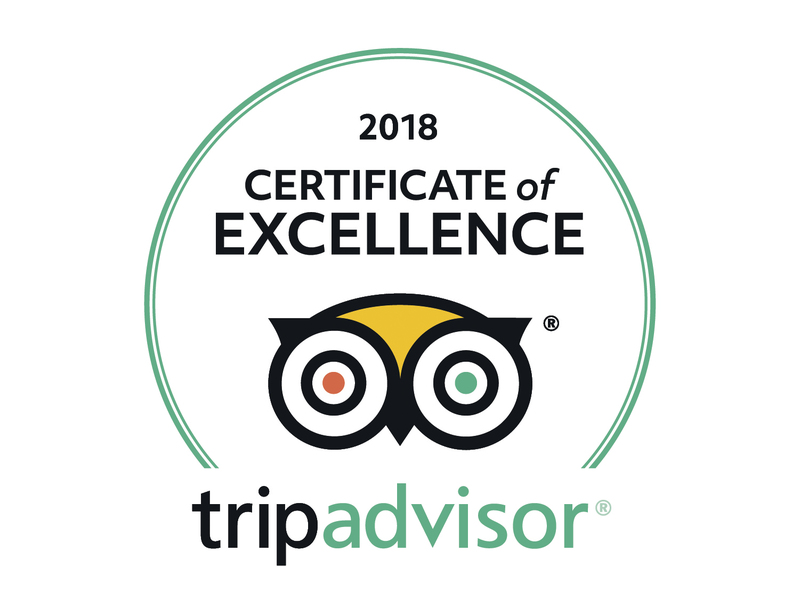 Guests purchasing tickets for the whole event (including accommodation) are in for 4 days of fun with a packed activities program. It all kicks off on Saturday 26th January with a welcome drink followed by Professional Jive Sessions in the Malaga Suite. 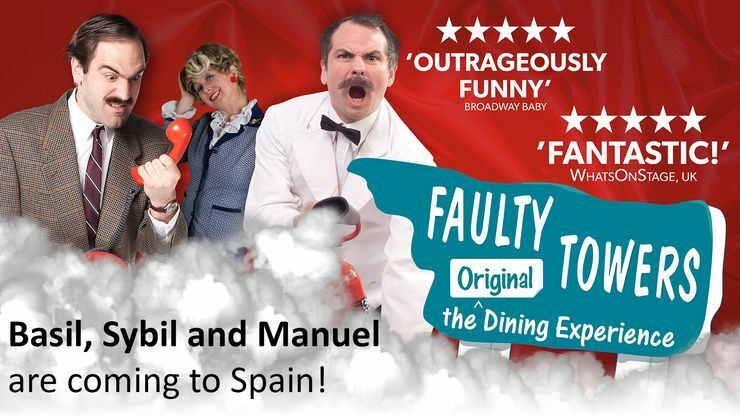 At 9:00pm you can enjoy the first of 4 amazing shows in the Moonlight Bar. ‘The Memphis Trio’ the Costa del Sol’s nº1 Rock n’ Roll band will be Ricky’s guests for this rockin’ evening! Have you made any plans for Christmas and New Year? 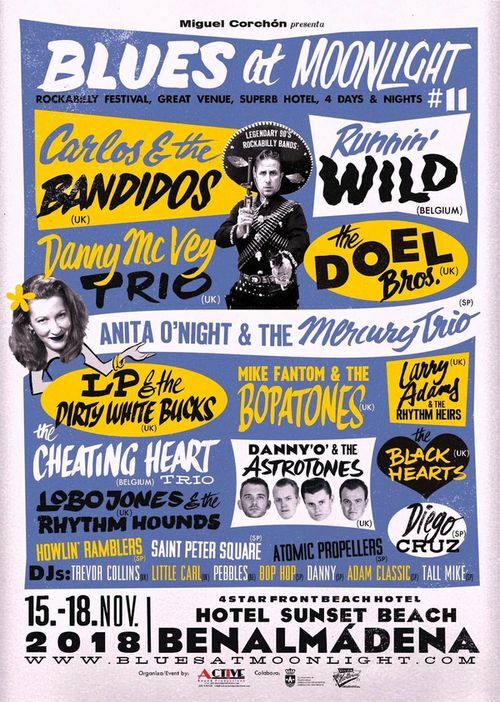 On the weekend of the 15th, 16th, 17th and 18th November 2018, the Moonlight Bar at Sunset Beach Club will once again host Blues at Moonlight, an international music festival for fans of Rockabilly and music with true American roots. October is ‘Soul Time’ here at Sunset Beach Club! 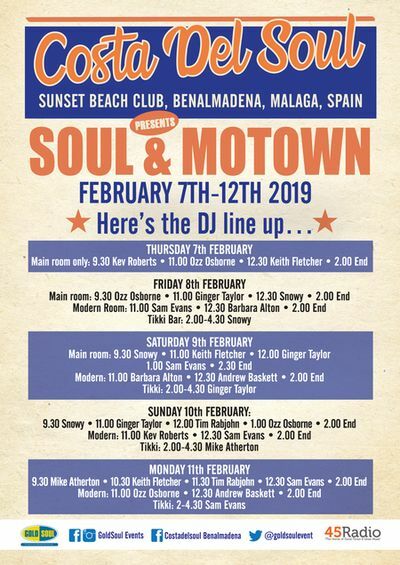 For the 10th year running, our friends at Goldsoul – well established UK Soul event promoters – are coming back for a fun week of the best tunes, lots of dancing and, of course, sunshine!!! 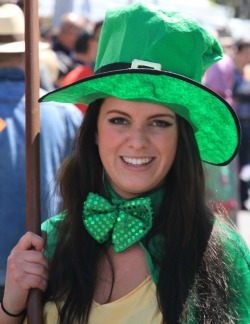 This year’s ‘Costa del Soul’ event promises to be the best yet. After the success of the extended 9 day event (It’s usually seven nights) this year Goldsoul have decided to repeat this winning formula and Costa del Soul will run from Friday 12th October to Saturday 20th October featuring some of the top DJ’s from the UK playing the greatest Soul Music Tunes throughout the day. Soul music lovers can enjoy their daily dose of Classic Soul tunes by the hotel’s Tikki Poolside Bar whilst enjoying a cool jug of Sangria and working on their tans! 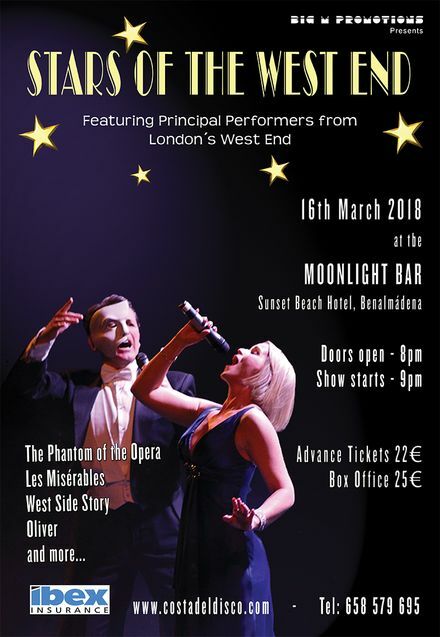 On Friday 16th March, Sunset Beach Club’s Moonlight Theatre will host a fantastic musical show: Stars of the West End. 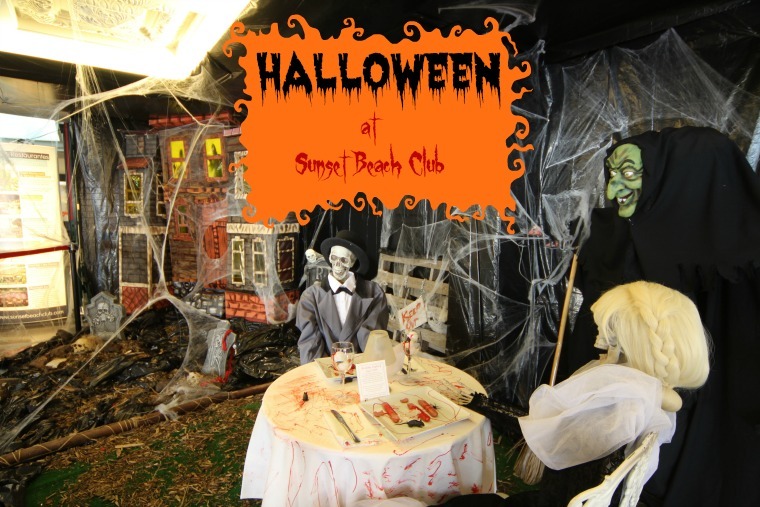 Halloween at Sunset Beach Club: What’s on? Halloween is almost here and we’ve got a fun packed activities programme for all the families visiting us over this half-term holiday period. From Saturday 21st October to Friday 3rd November, our animation team will be offering a full daily entertainment programme with activities for children, teenagers and adults. 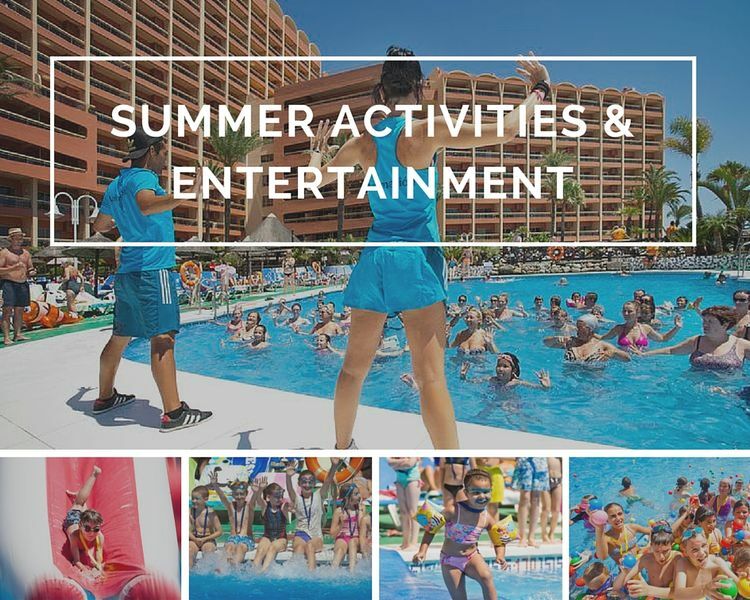 The summer season is almost upon us and we’ve been busy putting the finishing touches to our fun-packed activities and entertainment programme which officially started on the 1st June.